When to expect iPhone 5S? Posted by SizloTech on Mar 16, 2013 in News | Comments Off on When to expect iPhone 5S? 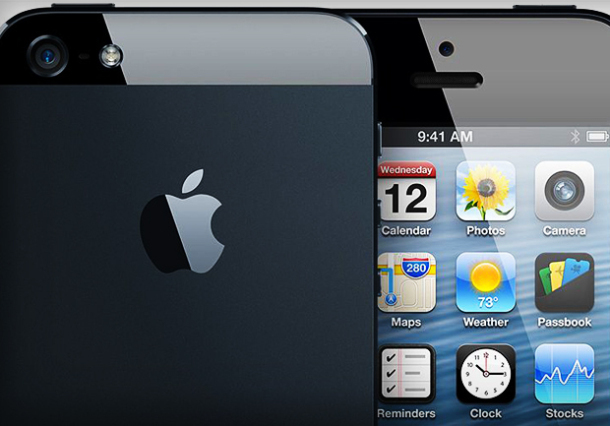 Even though iPhone 5 is only about 6 months old, there are already rumors about a successor. If Apple continues with their naming convention, we will get the new device called the iPhone 5S. If you think it is too early to expect new iPhone, keep in mind that iPad 4 has been released just 8 months after the previous the iPad 3. Apple surely has the ability to surprise us all with incredibly fast improvements and development. However, there is still a possibility that the company skips the iPhone 5’s successor 5S, but to hop right on to the brand new iPhone 6. Still, we are more likely to get the iPhone 5S. So, what can we expect from iPhone 5S? If we take a look at Apple’s previous S models, we can see that they have the same shell as their core models, but the features and tech specs are slightly different and improved. Therefore, we can surely expect a faster processor and slightly better camera. With the release of such incredible handsets of Sony Xperia Z, HTC one and, of course, the latest Samsung Galaxy S4, Apple has to do the hell of the job to be still in this tough game. When to expect the iPhone 5S? Even though some sources claim that the full production for commercial purposes of the new iPhone model has already begun, it is more likely to expect it to be released in the summer or even later in 2013. In any case, we are looking forward to it and we are absolutely positive that Apple will once again make us fall in love with their new product. * If you are looking for the way to unlock your iPhone 5 (or previous models), check out attunlockiphone.